Eliot Spitzer, former Attorney General and Governor of New York who resigned in 2008 in a prostitution scandal, announced yesterday he is running for Comptroller of New York City. In the above video he appeared on CBS This Morning. Of particular note is a common nonverbal phenomenon seen in those who are insincere. In the first photo - and appearing repeatedly in the above video - the former Governor has an asymmetric mouth. While all asymmetric mouth displays are not insincere in nature (e.g. contempt, regret) a repeated facial expression of this type is highly suspect. As a profession, asymmetric mouth displays are seen much more often in politicians compared with the general population. 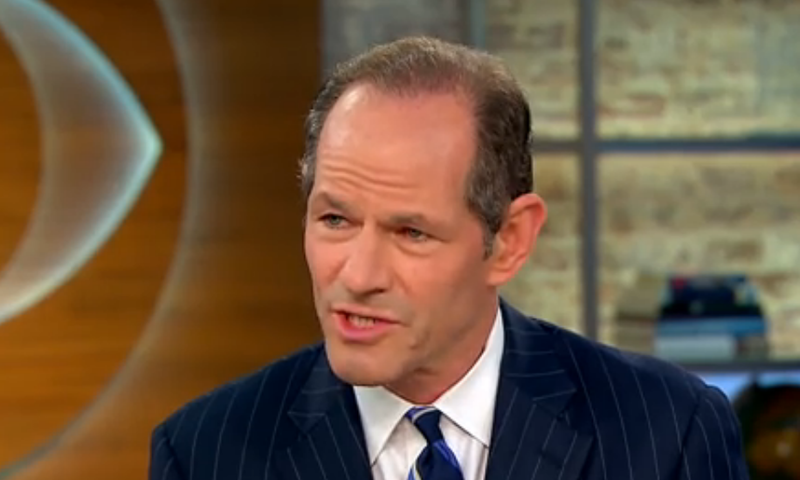 In this same interview, Spitzer in addition to his asymmetric mouth - also shows his audience an asymmetric forehead contraction. This one-sided forehead muscular action is indicative of incredulity and doubt. When someone is trying to sell you something - or solicit your vote, such an expression should raise a bold red flag. Early in the video clip, Norah O'Donnell asks the former Governor, "...Why do you think people should trust you or like you?" her face displays a very brief but distinctive expression of both disgust and contempt. Her momentarily partially closed upper eyelids are a signal of contempt and indeed amplify the effect of her mid-face tightening and her subtle nostril dilation. 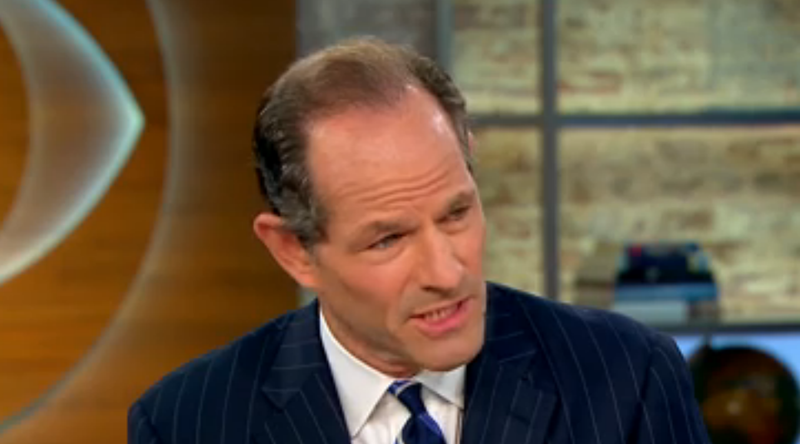 There is also mild tension of Ms. O'Donnell's mid-face and her head-neck-torso are tilted away from Spitzer. In addition her head is extended even further in relationship to her neck giving the "up-turned nose" that is strongly associated with disgust. In this photo-capture Norah O'Donnell displays a facial expression of anger. Notable is the foreshortening of her mouth (left to right width is temporarily shortened). Greater tension is present and contraction is also seen in the area above her upper lip and below her nose. Ms. O'Donnell's eyelids are opened slightly wider than her baseline normal and her inner (medial) eyebrows are also lowered in this moment. Both images of Ms. O'Donnell are very brief and are missed by most.